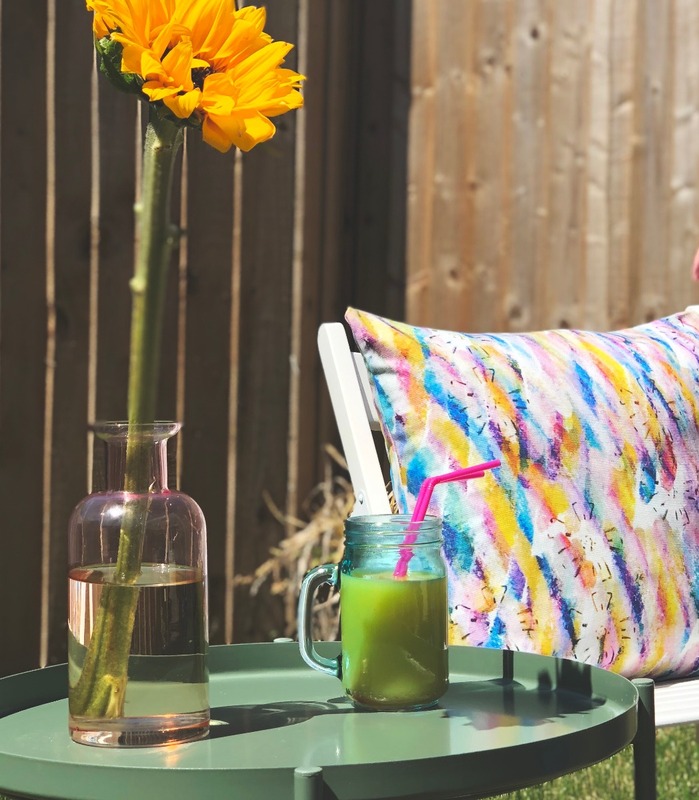 Art Lisa hand designs bright and colourful pieces for the home, currently focusing on textiles. 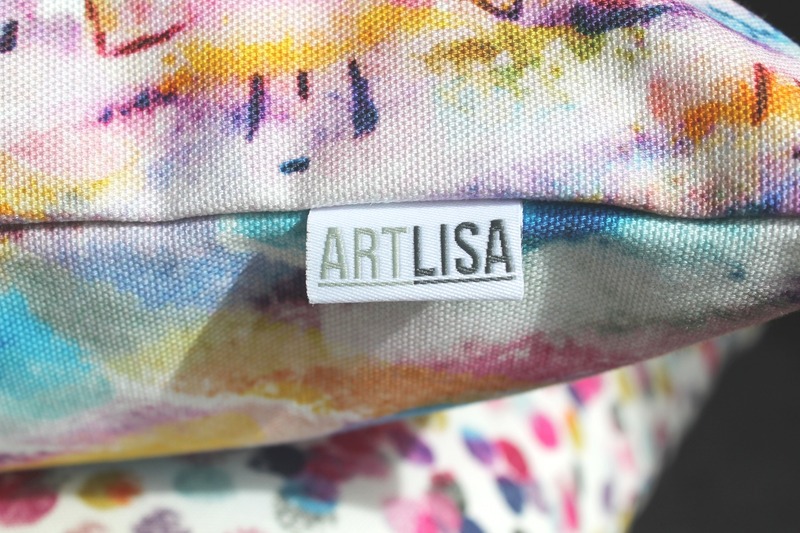 Lisa studied Fine Art at Leeds Becket University and graduated in 2010 with a passion for colour and pattern. 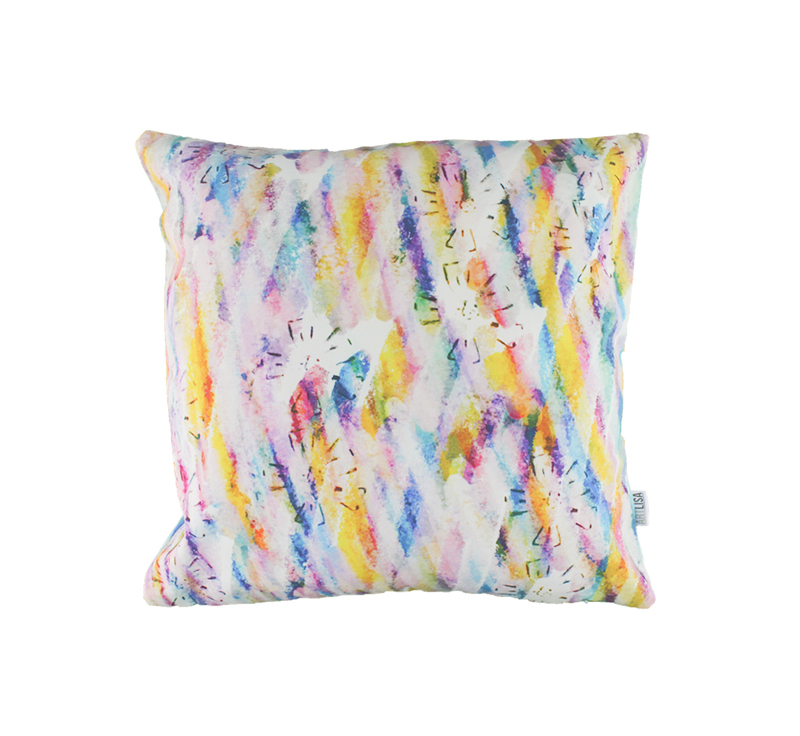 Lisa’s cushions are created digitally by hand, taking inspiration from everything around her. She hopes her designs will brighten up people’s day every day. This cushion really will brighten up any room. Its design is eye-catching and hard to ignore - the blues, pinks, yellows and purples compliment each other perfectly. The flower stencil overlay brings the cushion to life. Inserts are included. All cushions are printed on 100% cotton, half of which is eco-friendly Panama. They are printed using reactive inks which boast superior wash and rub fastness along with greater colour vibrancy and softness on the skin. 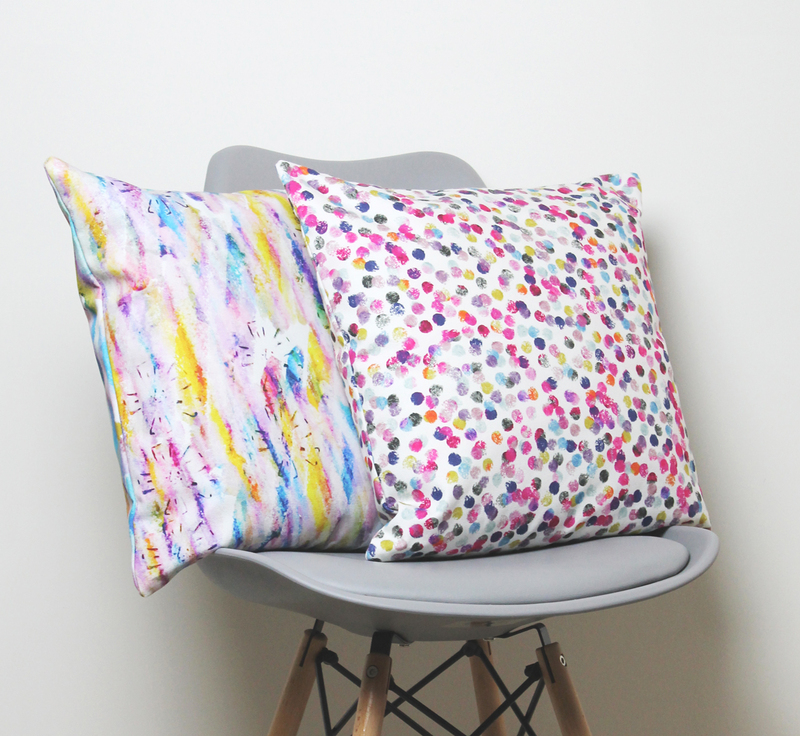 All cushions are designed digitally by Art Lisa and made in the UK.